Established in 1961, Sisma is a worldwide recognized name in the design and production of extremely high precision machinery such as laser welders and laser markers/engravers for the jewelry markets. Gesswein and Sisma are proud to present a range of benchtopgess welders that are the most superior on the market today! 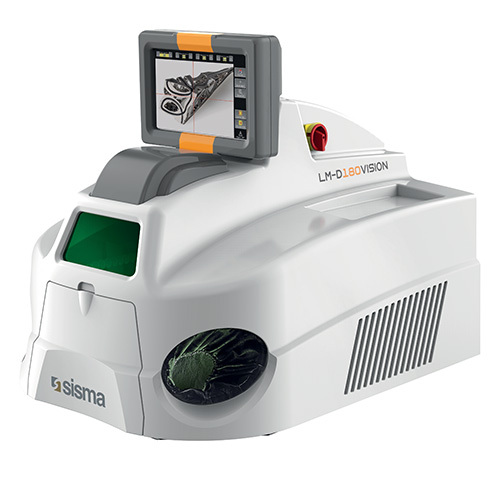 Click here to view or download our Sisma Mold Repair Brochure. The newest range of benchtop laser welders features a broader opening that is covered with rubber strips for your protection. The next step up is the traditional standard model that features a high quality Leica Microscope head and a redesigned resonator. Smart Spot Technology for repeatable Welding process; great depth of field and stable laser shot every time. Dedicated Filter that guarantees complete recovery of precious metals. Full digital electronic controls for accurate diagnostics. ECO mode function switched off unused systems during idle times thus guaranteeing lower power consumption. New ergonomic design and low operating noise for operator comfort. The LM-D Vision is a great upgrade to the standard model that features an intuitive 10.1 LCD screen for easy visibility and simplified use. Enhanced Cooling System: +60% cooling capacity compared to previous models which allows for reliable operation in high temperature spaces. ECO Mode function switched off unused systems during idle times, thus guaranteeing lower power consumption. Full digital controls for accurate diagnostics. The newest addition to the bench top laser family is the LM-DT Dual model that incorporates the features of the LM-D Scope and the LM-D Vision in one powerful welder. 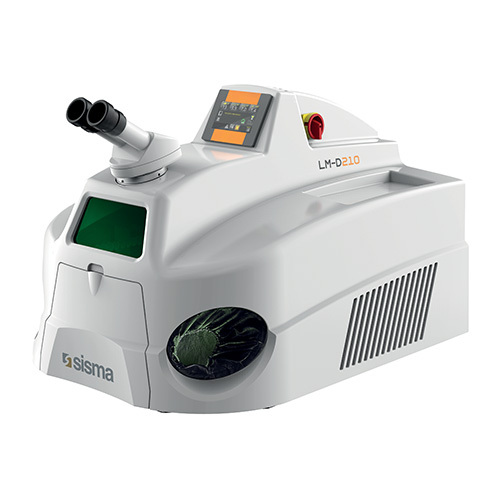 Features both the Leica Microscope and the 10.1 LCD Screen.